Pic : Tiger 131 at Bovington - rolling ! Discussion in 'The Tanks of World War 2' started by Martin Bull, Apr 29, 2017. She carries evidence of eight attacks on her, Gaines. Five definitely from her last fight. The rear damage on those cyclones & exhaust shrouds is blast-related shrapnel stuff. 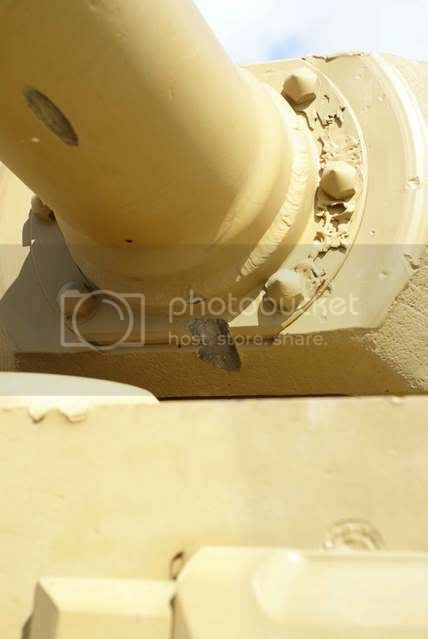 57mm solid on underside of main gun. .303 raking of gun & mantlet. .303 burst on the open commander's hatch, vision slit & cupola. 57mm on turret lifting stud. 57mm through loader's open hatch. And a possible hit to the driver's hatch. 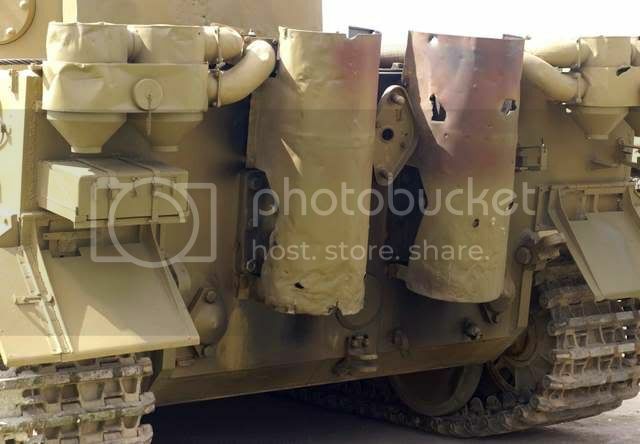 The damage is seemingly quite superficial compared to some Tiger kills, but the more I've thought about it over the years, adding smashed radios, possibly jammed traverse & seemingly hit while open hatches, and despite the fact there's no German evidence as to why, I can't say I blame them for legging it. Otto, Martin Bull and gtblackwell like this. 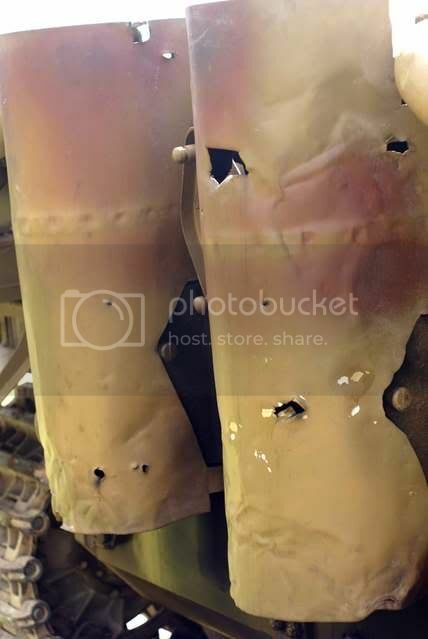 Adam is quite right - there's a photo in the Haynes 'Tiger Tank Manual' showing Tiger 131 very soon after being captured in April 1943 with the 'original' shrapnel scars to the exhaust shrouds. Thanks , fellows, for the updates and the photos. When I saw it it was not running but I remember the evidence of hits but not as aware of the exactness above. 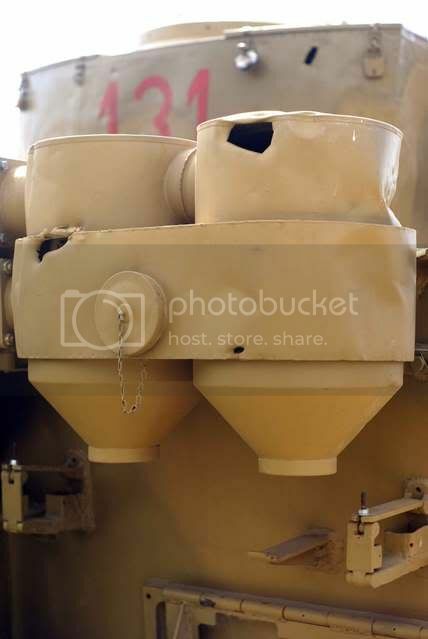 I imagine the 57mm through the open hatch, even if a solid shot . would play some havoc . If a tank becomes slightly disabled it probably attracts attention !! And it appears the 57 had it's range. . Great thread Martin. Glad the Mosquito is progressing, that rare plane really deserves all of the great effort being put into it.. I have just finished the misnamed "Night Fighter over Germany" about life of a sergeant pilot from enlistment till 1950 but not really much about combat but some tiny but interesting information about Mosquitos and Beaufighters rigged for night fighting. It is a good source for life as a piolet during the war and their endless training. Unashamed *bump* for this thread. Now that Photobucket has stopped messing around, some of my favourite WWII-related pics that I've ever taken have reappeared and I'm just glad to have them all in one place where I can keep gloating over them ! This is one great thread, glad you bumped it. The Tiger 1 is my favorite looking tank of WW2. 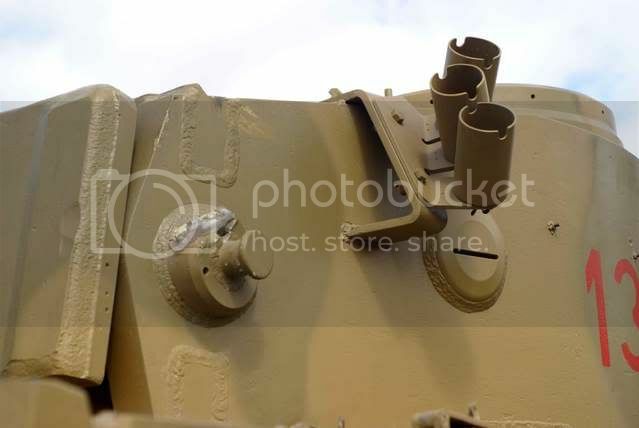 It's straight vertical front and turret are not ballistically correct but they seem to say, to hell with you and your little anti-tank guns. there is a brutal quality about it, a certain toughness that should have instilled fear, huge treads, blunt strong steel.. I keep imagining the Tiger's AP round hitting the 2" turret of an M-4. I am very fond of the Sherman and aware of it;'s merits but still think of the image a Tiger projects, an icon. Funny what one sees in a picture. I agree with your wife, again, I see the tourist as refugees fleeing, but the profile of the Tiger, that long stepped barrel looks menacing, as if stalking a prey the T-Rex of its time. The irony of all this is that a Sherman, with a clear side shot, brought down Michael Whitman. I always likened being in a tank to being in a submarine, sparse vision, your hunter always lurking.